VANCOUVER, BRITISH COLUMBIA / February 2, 2017 / MGX Minerals (CSE:XMG) is pleased to announce it has acquired the Lisbon Valley petro lithium project (the “Project”) located in the Paradox Basin, Utah. The Project includes 888 placer mineral claims inclusive of lithium brine mineral rights covering the majority of the Lisbon Valley oil and gas field (see Figure 1), where historic lithium brine content has been reported as high as 730 parts per million lithium (Superior Oil 88-21P). “This recent acquisition in the Paradox Basin is strategic for MGX. These claims cover the majority of the Lisbon Oilfield placing MGX as a major player in oilfield lithium brine in the United States,” stated MGX Chairman Marc Bruner. 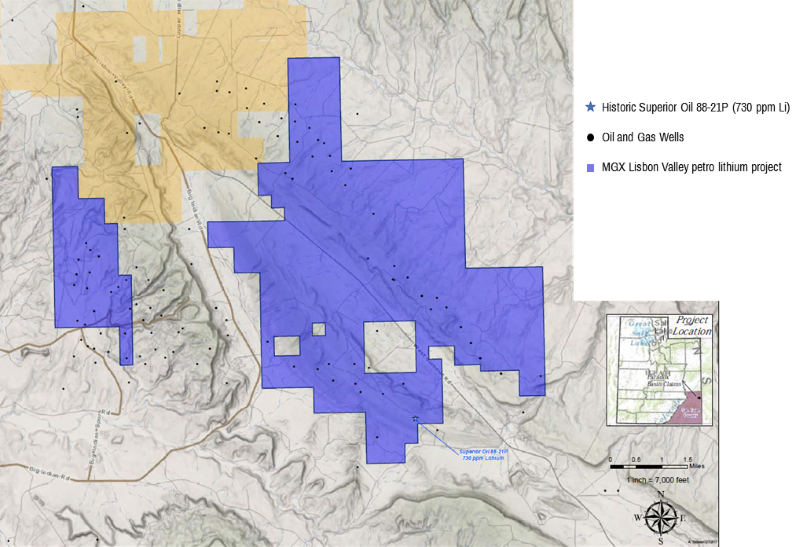 The Lisbon Valley oil and gas field is located approximately 40 miles southeast of Moab, Utah in the salt anticline belt on the southwest edge of the Paradox Basin in San Juan county. The oilfield was first discovered by Pure Oil Company in 1960. The Lisbon field produces oil and gas from the southwest flank of a faulted anticlinal trap in the Devonian sandstones and Mississippian limestones (Segal et al., 1986). The Paradox Basin covers large parts of San Juan, Garfield, Wayne, Emery, and Grand Counties in southeastern Utah. The Basin was a structural and depositional trough associated with the Pennsylvanian-age Ancestral Rocky Mountains. The subsiding basin developed a shallow-water carbonate shelf that locally contained carbonate buildups along its south and southwest margins. The region is home to the former Rio Algom uranium mill facility, an active copper mine operated by Lisbon Valley Mining Company, and a natural gas processing plant located in the city of Lisbon, Utah. As previously announced, MGX and engineering partner PurLucid Treatment Solutions (“PurLucid”) have successfully extracted lithium from oil sands wastewater (see press release dated January 3, 2017). The Company and PurLucid are now preparing for deployment of the pilot plant shortly with commercial scale deployment expected during the second half of 2017. The pilot plant unit represents fully integrated technology combining MGX’s patent pending lithium extraction process, which potentially reduces recovery times of lithium and other valuable minerals from 18 months to one day when compared with conventional lithium extraction, with PurLucid’s patented water purification technology, which removes particulate and dissolved material including dissolved and emulsified oil, colloids and heavy metals. Results from pilot plant optimization testing will be released shortly as part of the completion of the pilot plant. Lithium carbonate has been extracted from oil well production waste water at the Company’s flagship Sturgeon Lake property. Results are currently under technical review and will be released shortly (see Figure 2). Read the full company profile. The technical portions of this press release were prepared by Dr. Preston McEachern, CEO of PurLucid Treatment Solutions Inc., and have been reviewed by Andris Kikauka (P. Geo. ), Vice President of Exploration for MGX Minerals. Mr. Kikauka is a non-independent Qualified Person within the meaning of National Instrument (N.I.) 43-101 Standards. Figure 2. 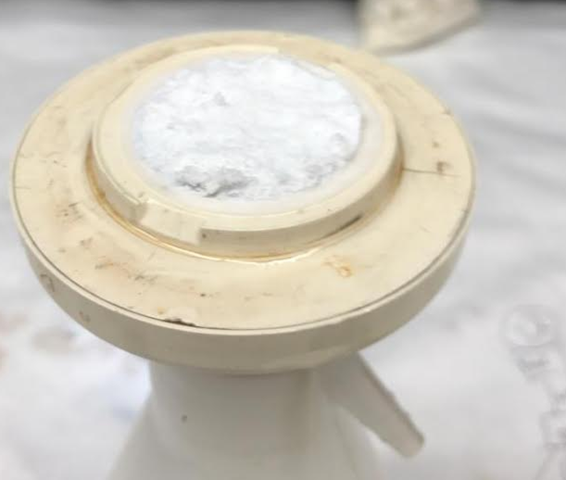 Lithium carbonate produced from Sturgeon Lake Oilfield production water using MGX’s patent pending recovery process and engineering partner PurLucid Treatment Solution’s patented oilfield wastewater filtration technologies. Connect with MGX Minerals (CSE:XMG) to receive an Investor Presentation.